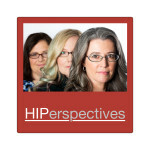 In earlier IP Basics episodes, the HIPLegal partners discussed how IP rights – like patents, copyrights, trademarks – come into existence and when you might need permission to use someone else’s IP rights. This episode builds on those prior episodes to explore strategies for the licensee – the one who wants rights to someone else’s intellectual property – when negotiating for a license. We return to the example of Annie’s pencil and walk through what rights we need to fill a customer order.